Bangkok, Thailand -- In 1955 Buddhadasa Bhikkhu, founder of Suan Mokkh (Garden of Liberation), made a three-month pilgrimage to India, the birth place of Buddha. Throughout his life, the late reformist monk kept his vow to follow in his teacher's footsteps. But this path was not lined with the traditional gesture of a wai, or an offer of candles or incense sticks. 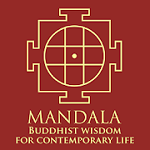 His journey encompassed a deeper understanding and practice of the true teachings, or dharma, of the Lord Buddha. A publishing house is now organising a series of free trips for young people from all over Thailand to learn about the late monk's life and work. The two-day and one-night guided tour of Surat Thani province includes a visit to the places where the monk grew up, studied and practiced dharma, as well as the site of his cremation. All of this is to commemorate next year's centenary celebration of Buddhadasa's birth. The well-respected monk has left this world, but his legacy continues to inspire. "This is how Buddhadasa will never die. He will continue to live on and influence us through his life and work," said Chonrangsee Chalermchaikit, managing director of Sukhapab Jai, the 23-year-old publishing house that has introduced many of Buddhadasa's works to the public. Throughout his 67 years in the robes, the senior monk wrote numerous books, gave hundreds of talks and invoked the true spirit of dharma, one not imbued with superstition, mindless ritual or materialism. All of this was the monk's way of expressing his gratitude to the Buddha, whom he held in highest regard. His chosen name, Buddhadasa, literally means "a slave of Buddha". According to the late monk, taking refuge in the Buddha, dharma, and the sangha, or community of monks, did not mean idolising the Buddha, but rather trying to live in accordance with the Buddha's teachings. "Dharma is the religion," wrote the monk in 1965 upon the completion of an Indian-style Buddhist sculpture project at his forest monastery. "People nowadays, however, have become attached to and view Buddha as a god instead of seeing him as a human being who attained enlightenment and had great compassion for others. They are not aware that Buddha teaches that anyone can follow his path and find the way out of suffering by and for themselves." The organisers of the current trip to Suan Mokkh have adopted this attitude towards their study and exploration of the late monk's life. << Buddhadasa as a boy, Ngerm (in the middle), with his Chinese father and his younger brother Dhammadasa Panich. The photo was taken during a visit from a monk to the family's home. The district of Chaiya in Surat Thani was once a heartland of Buddhism when it first appeared in the Siamese Kingdom. A two-lane cement road now leads to a small community and a wooden two-storey shophouse: The birthplace of a little boy who would later be known as Buddhadasa. On May 27, 1906, Ngerm Panich was born, the eldest of three children of a Chinese merchant named Sieng, who together with his Thai wife, Kluen, ran a small grocery store. Much has changed since then - the building has been renovated and looks brand new - but some of its original structures are still evident. Metta Panich, Buddhadasa's nephew, recalls stories he learned about life in the village a century ago. "In those days, temples had a dominant role in community life," he said. "Every house would have a table set up with alms ready to be offered to monks every morning. Once a week, people would go to a nearby temple and listen to sermons and prayers. There were six temples in the area and monks usually dropped by for a visit and conversation." When the Panich brothers grew up, one of their joint hobbies was to initiate dharma discussions in the neighbourhood, so they opened their house up as a "public library". "Life then was peaceful and rather carefree. There was no need to shut the doors or windows. The villagers did not have to worry about burglars. They knew each other well, like relatives," Metta said. Ngerm's mother was an influential figure in his life. She taught the young boy about responsibility and the art of frugality. She was later one of the main sponsors of the Suan Mokkh foundation in the 1930s. Although the family was well-to-do, Ngerm learned how to be a wise spender. The boy only got one satang (100 satang is equivalent to one baht) as his daily school allowance. He would buy kanom jeen (rice noodles) and nam ya (spicy soup) for lunch, sprinkled with vegetables or morning glory that he had collected from a nearby pond. "When he was nine, he asked his mother to buy him a bicycle but she answered, 'It is not a mother's duty to buy her son a bike. If you want it, you have to earn it yourself,"' said Poj Youngpholkan, a biographer of the late Buddhadasa Bhikkhu. "For six months, the young boy had to sew clothes and saved up in order to buy what he wanted." To waste things like water and fuel was discouraged by the matriarch. "His mother taught her children to make the the maximum use of everything," said Poj. "And this habit remained with Buddhadasa throughout his life. Nothing would be thrown away, unless it has been thoroughly used. For example, sometimes he would write dharma poems on the backs of old calendars. " Growing up, Ngerm was a regular - and sometimes mischievous - child. Ngerm was often spanked by his mother for getting into squabbles or playing pranks on his two siblings. And like most children his age, he was afraid of ghosts. "One day, the cattle he was tending ventured out into a graveyard," Poj said. "It was dusk already. He was very scared but then a thought came: 'I am afraid of ghosts, but look, those cattle just walked there to nibble grass.' The fear melted away, and Buddhadasa said he was grateful to the cattle for teaching him a valuable lesson." A short ride in a car from Buddhadasa's old house is an abandoned, cobwebbed, wooden one-storey structure. The deserted building was once Wat Bhoditharam school, called by the monk his "university". It was here that young Ngerm learned how to scrape away at his selfishness. He dubbed himself as "the man of the world" - as a temple boy he had to tend to everything from dawn to bedtime. With his schoolmates, he helped feed abandoned cats, chickens, dogs and pigs, kept the temple areas clean and neat, and grew edible plants to give to the villagers. At school, the young Ngerm was not an outstanding student. On one of his year-end school reports, his teacher wrote: "1. He is diligent and finishes work fast and neat; 2. He has not yet been found to bully friends or forced to come to school; 3. He has good memory and likes to do things by himself; 4. He is as intelligent as anyone else." When he was 16, Ngerm's father died. This meant the teenager had to drop out of school and take over the family's grocery store business. In addition, the young man had to make overnight boat trips to the town of Surat Thani to buy stock, take care of the household chores, his mother and siblings. Despite the heavy burdens of all this newfound responsibility, he considered those years "full of fun". At 20, Ngerm was ordained a monk, in part to follow the tradition of the day, and to fulfil his mother's wishes. His ordination name was Inthapanyo ("the wise one"). 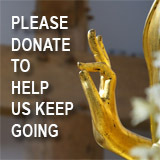 After three days in the monkhood, he started breaking away from some of the "conventions". Instead of reading to lay people directly from scriptures, the young monk gave impromptu lectures, trying to make dharma relevant to daily events. His style attracted people from the village and he was invited to give sermons quite frequently. After he passed the first level examination in dharma studies (nak-tham tri), he started giving dharma lessons to student monks at a temple in Chaiya. "He had a gift for digesting and explaining difficult things. He used props and concrete examples to make his points clear. People loved listening to him. And he enjoyed teaching and seeing his student monks do well on exams. Out of 30 monks he taught, 29 passed," Poj said. To further his education in dharma, the monk went to Bangkok, which he believed to be the land of the "Awakened Ones", as it was a hub of scriptures and gurus. However, he was quickly disillusioned by the lack of commitment to Buddhist teachings displayed by some of the monks and found himself a misfit among them. "Buddhadasa Bhikkhu was unhappy to see the lax practices of so many monks in Bangkok. They dined after 12pm, had physical contact with women and engaged in superstitious rituals. They strove for power, titles, decorations and wealth." Bored and disenchanted with Bangkok, the monk flunked the exam and decided to go back to his hometown. With the help of his brother and some monk friends, he sought a solitary hermitage where he could study and practise dharma. "... I have been pursuing the way of the world since the minute I was born. From now on, I will no longer do so. ... I will bid farewell to the world and seek the purity of the araya [awakened] ... to free my mind from the world," Buddhadasa Bhikkhu wrote. An abandoned monastery called Wat Trapangjik was the perfect location for the young monk to begin a new chapter in his life. An overgrown jungle, there were no people around, rather beasts such as poisonous snakes, boars and wild birds. "In the Buddha's time, as written in the scriptures, the Buddha advised his disciples to go to the forest, to sit under the trees in search of the ultimate truth," Poj said. That was exactly what Buddhadasa did. For three months, he received no visitors, abstained from speaking, took only one meal a day. His residence, or kuti, was a small hut with a corrugated roof. The self-taught monk read and studied many scriptures and books in search of the path to becoming "Awakened". During this time, he wrote a book entitled Tam Roy Phra Arahant (In Pursuit of the Awakened Ones). He also kept journals of his observations during the intensive three-month solitary retreat. It was here in 1932 that he declared himself to be slave of Buddha, or "Buddhadasa". A white stone pillar with this declaration inscribed on it still sits in the forest. The kuti, now rundown, is also still there. The only thing that has changed is the virgin forest. "This place was a turning point for the young monk and inspired the creation of Suan Mokkh," said Poj. This commitment to build the garden sanctuary was documented in his Dharma Practice Calendar in 1934: "I will sacrifice everything and aim only for sublime happiness in order to share it with others." For almost 12 years, Wat Trapangjik was a monastery where Buddhadasa was the only permanent resident monk. Many called him a "crazy monastic". However, some dharma friends such as his brother and other progressive monks made occasional visits to discuss Buddhist teachings with him. In Telling It in the Twilight Years, Buddhadasa Bhikkhu said in a series of interviews given to Phra Pracha Prasanthammo: "I once thought about living alone as a hermit, but that would have been the end of Suan Mokkh. This communal co-existence on the other hand has benefited far more people." In 1943, with the help of his mother, brother and friends, Buddhadasa moved Suan Mokkh to its current location. The 300-rai forest monastery in Chaiya was designed to be a sanctuary for awakening people to dharma. In later years, the monk ventured to create three different venues on the same compound: One for women, another for foreigners, the third for monks. Nature, to the monk, was the best dharma teacher. Therefore, at Suan Mokkh, trees serve as walls and pillars, their branches and shady leaves as roofs, the sand and rocks become chairs. "Buddha was born on the ground, he journeyed on foot to teach dharma, and he died lying on the earth. I will follow him, to always keep my feet on the ground," he once told people who offered to tile the sandy ground in front of his kuti where he worked and welcomed visitors. The monk's kutis, which were also his office and library, will soon function as a museum. Metta, the monk's nephew, said people at the temple plan to renovate all the kutis to show how he lived, what kinds of books he read and how the prolific monk-writer worked. "The monk was self-taught. He read many books of all kinds. He read about Christianity, Islam, philosophy and more. When he kept fish, he read books on fish," said Metta. "He learned from everything, even his own illnesses. He used to say that each time he got sick, he learned more and became wiser." A few years before he passed away, Buddhadasa moved to a new kuti, originally designed as a toilet. "He said the bathroom was spacious and convenient to move about in," Metta explained. Buddhadasa did not favour concrete structures over nature, but in the years since its establishment, Suan Mokkh has grown steadily with the addition of several buildings to welcome the increasing numbers of visitors. An old wooden structure known as Sala Nang-ngarm (beauty queen pavilion) houses three skeletons: one each of a baby, a man and a woman who was a former beauty queen of Thailand. This aims to remind visitors of the impermanence of life and urges them to follow the monk's suggestion - "to put an end to our suffering before we die". Buddhadasa Bhikkhu also wanted to promote art at the monastery. The Spiritual Entertainment Theatre enshrines paintings and sculptures that symbolise dharma. The external walls of the theatre are decorated with replicas of ancient Indian bas-relief sculptures representing scenes from Lord Buddha's life, which the monk saw during his trip to India. Even at the end of his life, Buddhadasa Bhikkhu used his death as a lesson for the people. Near Mount Buddha Thong, a small hill inside the monastery complex, is the stone pillar which serves as a memorial of the monk's cremation back in 1993. It is amazing to see the amount of work and merit an "ordinary" monk accomplished in one lifetime. The monastery's Sala Dhammakot (Propagation of Dharma Hall) showcases all his work, books, tapes, articles and awards well as his remains, which were placed beneath a Buddha statue. It's impossible to thoroughly delve into 87 years of Buddhadasa Bhikkhu's "live simply, aim for the highest" legacy in just one or two days. But the inspiration which he has imparted through his teachings and the existence of Suan Mokkh itself may, the organisers believe, inspire more to follow his path. And that, if achieved, will be more than enough. 'The Following the Awakened Ones Footsteps: A Centennial of Buddhadasa Bhikkhu's Birth' tour is organised by Sukhapab Jai Publishing House for young people free of charge. The programme will continue throughout the year. The organiser hopes to arrange up to eight tours for 150-200 participants in total. For more information, contact Sukhapab Jai at 02-415-2621 ext 808.To learn more about life and works of Buddhadasa Bhikkhu visit www.buddhadasa.org.